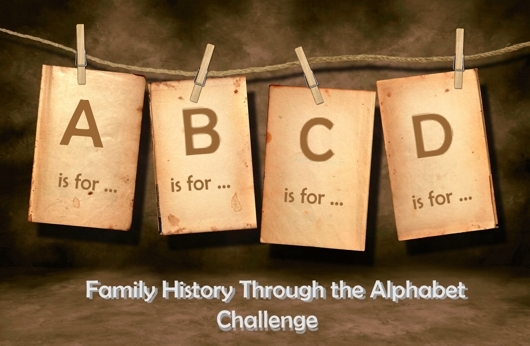 Continuing the Family History through the Alphabet series…C is for Census! 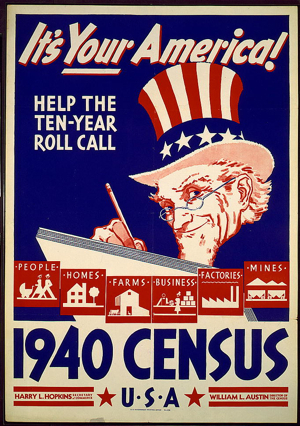 Federal Census Records are one of the first tools that U.S. researchers turn to when beginning their family history research. It was my first stop when I began my research 23 years ago – back then, the most recent available census at the time was the 1910! I think the census records are even more valuable today. How accurate is the information? Well, in my family that all depends on several factors, including who provided the info, how well the informant understood English, and how close to the “event” they were at the time (for example, the immigration year is more likely to be correct five years later than 25 years later). 2. Rule #1 is applied more vigorously in instances where the wife is older than the husband. Although the wife was older in one set of my grandparents, two sets of greats, and my 2nd great-grandparents, she is always either the same age as the husband or younger so as to prevent the raised eyebrows of the neighbors. 3. Just because adult children are listed with their parents doesn’t actually mean they live there, it just means the parents misunderstood the question. Keep looking, because you’ll probably find them listed elsewhere on their own. My family has inflated the official population number for decades with this rule! 4. The spelling of immigrant surnames are irrelevant for the first 25-30 or so years after immigration, then enumerators finally get it right. Overall, the 1940 census has been the most accurate with both names and ages for all of my ancestors. 5. Don’t be surprised to find extra, unknown siblings listed. Or existing, known siblings not listed. I may never know why. Or why not. So there you have it….researching census records can be a wild, fun ride. You never know what you’ll find, but one thing’s for sure – there’s always a “happy dance” involved when you find your ancestor! Maybe someday I’ll get to explore census records for other countries, too! The additions in the great-grandparent generation or above were immigrations, and decreases were due to deaths. The additions for the grandparents and below were births. I’m counting my paternal grandmother in the above counts because she was alive, but I’ve yet to actually find her on any census ever. And I’m not double counting the several relatives that were counted more than once in prior censuses! The spouse category includes all spouses of any generation that are not directly related to me. So, it appears I only have to find 108 relatives. The good news is, this is roughly about 32 households. Of those 32 households, 27 live in the city of Philadelphia which had a 1940 population of “only” 1.93 million. It appears I have my work cut out for me! What am I doing to prepare for the research? Well, other than mapping out the list of individuals that should be alive, I’m trying to determine their 1940 addresses. Mostly I’m relying on the 1930 addresses, but in some cases I’m using other available documents like death or marriage records if the events took place closer to 1940. I even have my grandfather’s driver’s license from 1940, so I am confident I can find my father at that address with his parents. After compiling a list of the possible addresses and/or what the 1930 ED (enumeration district) was if I’m using that address, I then head to Steve Morse’s Unified 1940 Census ED Finder. Unfortunately, for a city as large as Philadelphia the result usually yields two or more possible ED numbers based on either the 1930 ED or an actual street address. To narrow it down even further, I am literally mapping out the address and relying on Steve’s links to the descriptions or maps of the EDs. While this whole exercise would bore most of my non-genealogy friends to tears, the research has been fun. Well, not as much fun as converting surnames to Soundex codes back in the day and scrolling through microfilm, but fun. While an index will certainly make research easier, I’m still confident that the ease of using free digitized images will make finding all 108 relatives relatively easy. And I’m sure I’ll find some surprises once I find these families! Have you ever looked at a genealogical record and seen what you expected to see rather than what was actually there? Recently I started organizing data in anticipation of the 2012 release of the 1940 Census, and that includes reviewing addresses and enumeration districts from the 1930 Census. This is how I realized that for nearly the last ten years I’ve misread one of my family’s entries. By 1930, my grandmother’s parents were deceased. My grandmother, Margaret Bergmeister, was only 17 years old and the youngest in the family. Her siblings included a sister, Marie, and three brothers: Joseph, Max, and Julius. When it came to researching my families, the Bergmeister’s were the easiest. My father remembered a lot of information about his aunts, uncles, and cousins. 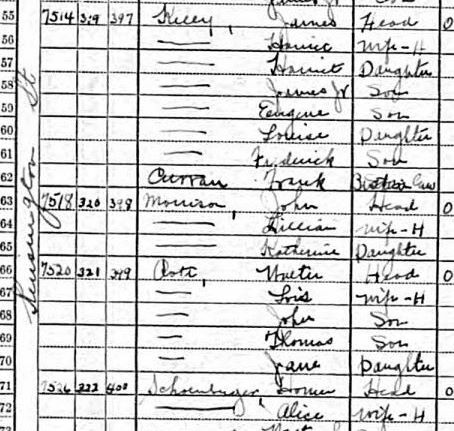 Unlike some other branches of my family, the Bergmeister’s didn’t try to hide from the census-takers or make up information. But after reviewing the 1930 entry, I’m left with another mystery on my hands. As I reviewed the 1930 entry, I realized that Julius is listed with the correct age, followed by “Gustav” who was a year younger. But Max was older than Julius, so how could that be him? Then I realized that Max’s daughter, my dad’s cousin, was born in 1930 so Max was likely already married and living on his own. After a new search, I found 25-year-old Max (indexed under the surname Bergmuset) living with his wife, Sophia. When did Joe get a brother named Gus? Back to Joseph and his brothers… Um, Gustav who? He is listed as 21 years old, one year younger than Julius. There’s just one problem…the Bergmeister’s didn’t have a brother named Gustav. Or did they? Census paranoia has now set in…could there be another brother that probably died in his 20s and therefore wasn’t know by his nieces and nephews or talked about by his brothers and sisters? I went off on a wild goose chase to see if there may have been another brother. I’ve encountered plenty of mis-information in census records before, but I always blamed the fact that my ancestors were immigrants and likely spoke in heavily accented English. But in this case, Joseph and his brothers were all born in Philadelphia – understanding the language would not have been a problem. After consideration, I’ve determined that the entry for Gustav is likely a mysterious mistake and not a previously unknown sibling. First, there is no oral history of this brother – I’ve met many of my second cousins, and the family stories all have the same information. My father and several of his cousins who are older than my father have no recollection of another brother. There is no sibling named Gustav listed with the family on either the 1910 or 1920 census (but then again, my grandmother, born 1913, is fully absent from both the 1920 and 1930). 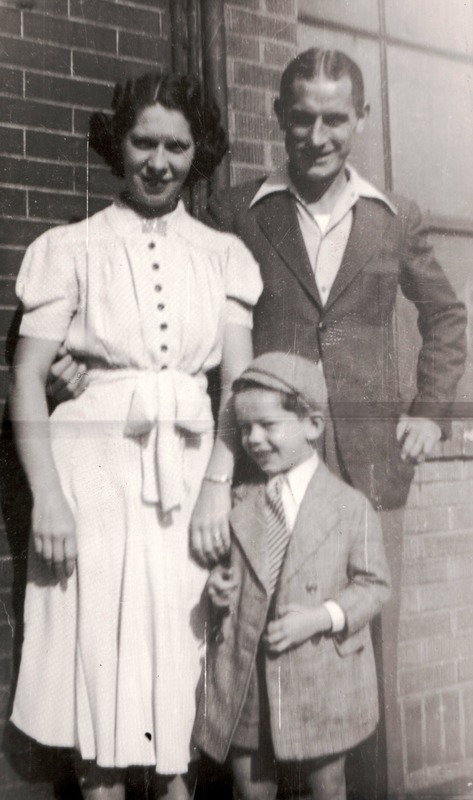 If there had been a brother who died before my father and his older cousins were old enough to have known and/or remember him, that brother would have likely been buried with his parents. That grave, purchased in 1919 upon the death of the mother of the family, had room for six, but there is no Gustav buried with them. Finally, the most compelling reason that I doubt the existence of this brother is that there were two other children born in between Julius and Margaret that would make the birth year of 1909 (based on being 21 in 1930) impossible. 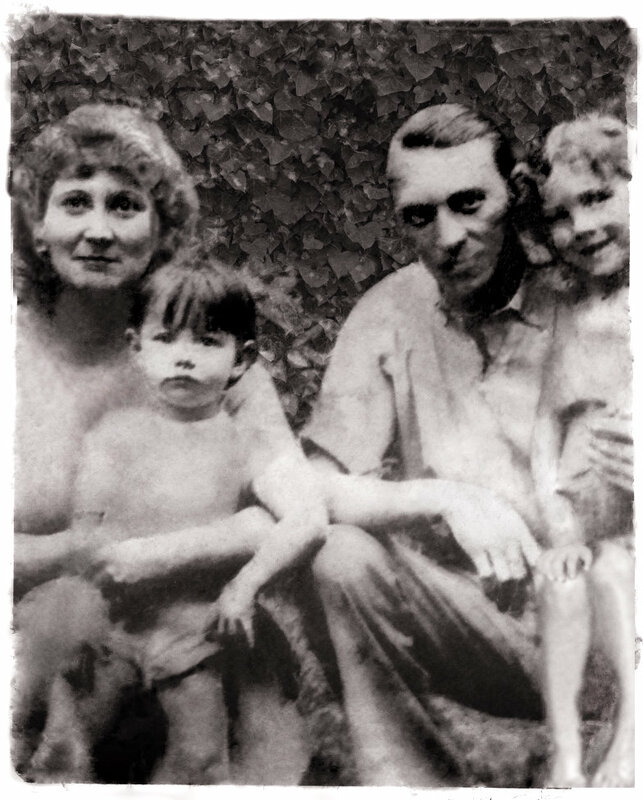 The Bergmeister’s had two premature infants who died on the same day they were born: Charles in July 1909 and Laura in November 1911. Julius was born in June, 1907, so it is conceivable (pun intended) that another child could have been born in 1908 – but not in 1909. But in the 1910 census, mother Marie is listed as having borne 5 children, 4 of whom are living – this would include baby Charles’ death and the births of Marie, Joseph, Max, and Julius, but no Gustav. So young Gustav remains a mystery. I even considered that perhaps his is the brother of Joseph’s wife, Helen Pardus. After a quick search of Helen’s family in the earlier census records, I found many siblings – but no Gustav or any brother for the approximate year. Joseph Bergmeister has a cousin named Charles Bergmeister who was born in 1909, but he is enumerated with his mother in Elizabeth, NJ and there is no indication that either branch of the two families were ever in touch after the deaths of their fathers, the brothers Joseph and Ignatz Nicholas Bergmeister (Joseph died in 1927 and Ignatz in 1919). I chalk Gustav up as yet another census error. Although my grandmother is missing, I’ve found others counted twice and now a phantom brother. I’m confident that there is no brother Gus…but as a skeptical genealogist, the parish church were the Bergmeister family was baptized will be getting a call this week! This week Randy’s Saturday Night Genealogy Fun asked us to do a scavenger hunt to find a family member in the census. All of my great-grandparents were immigrants, and I’ve found them on the census records long ago to initially start my research (so many years ago that, at the time, the last available census was the 1910). All eight were here for the 1910 and thereafter, and only one, Joseph Bergmeister, was in the US in time for the 1900 Census. Many of their census records were extremely hard to find because the surnames were misspelled or mis-indexed. But I eventually managed to find them as well as their siblings. Five of my great-grandparents had siblings immigrate as well – I’ve found all 15 siblings so far! 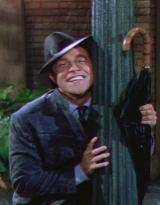 But there is one strange census-related mystery that continues to bother me…my grandmother is simply not there! 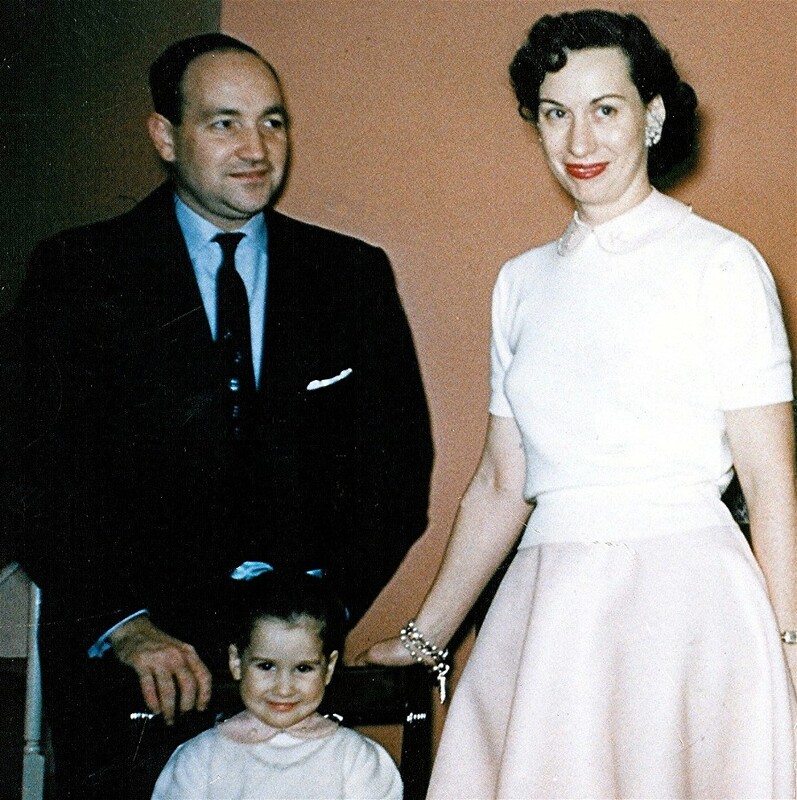 There is no way to know for sure why she is missing, but my theory is that she was visiting her aunt and uncle on the day of the enumeration. Max and Hilarie Thumann are living at 6078 Kingsessing Street in Philadelphia (indexed on Ancestry as Mat and Halmie)2. With them are Hilarie’s half-brother Julius Goetz and his wife Anna. But no Margaret! It is possible that Margaret was visiting her aunts and uncles on the day of the enumeration and her father did not tell the enumerator about her because she was literally not home on 07 January 1920. On 08 January, another enumerator arrived at the Thumann’s door, but it is possible they did not mention Margaret because she did not live there. Other possibilities such as adoption are out of the question since Margaret’s birth was verified – not to mention the fact that she looks just like her brothers and sister! I figured Margaret would be much easier to find in 1930 as a 17-year-old. Wrong again. By 1930 her father is now also deceased. Margaret’s oldest brother, also named Joseph, is 27 years old and married with a son and daughter of his own. 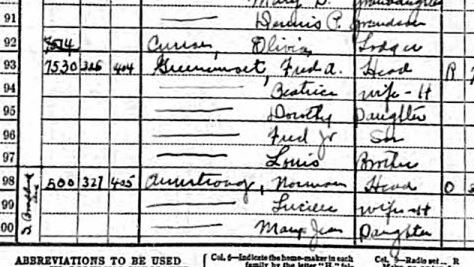 They are living at 311 Wildey Street in Philadelphia3 (and on this census page, the enumerator thoughtfully printed each surname in very neat block letters). Living with Joseph are his two single brothers, aged 22 and 21. 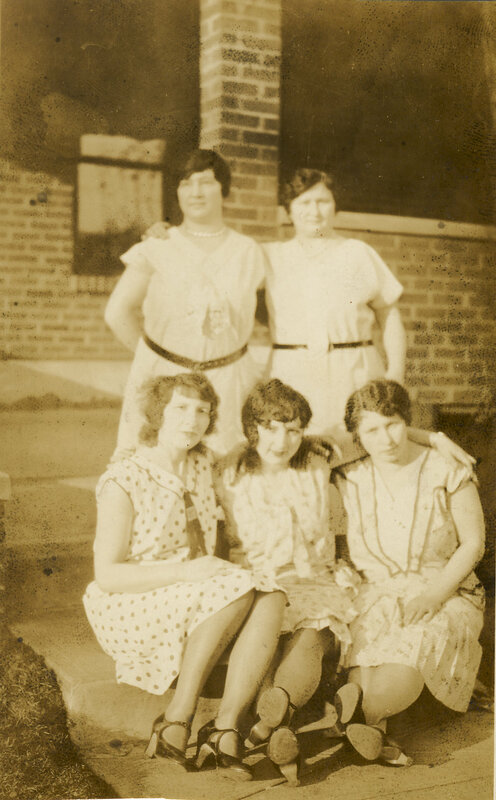 It was assumed that Margaret, still a minor, was living with her oldest sister, Marie. Marie was living in the rear apartment at 1302 Germantown Avenue4. She was unmarried with two young daughters, aged 9 and 5. But no sister Margaret to be found. So where was my 17-year-old grandmother? It wasn’t imperative to find her in the census – I know her birth date and her parents’ names. But, where is she? It’s still a mystery! For all the genealogical help the census has given me, the simple question of where my grandmother was at ages 7 and 17 is still a mystery! 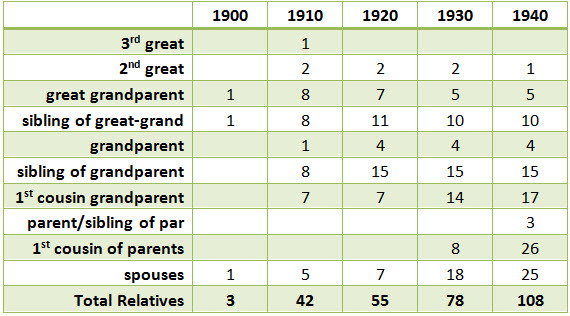 1Source Citation: Year: 1920;Census Place: Philadelphia Ward 16, Philadelphia, Pennsylvania; Roll T625_1618; Page: 8A; Enumeration District: 346; Image: 511. 2Source Citation: Year: 1920;Census Place: Philadelphia Ward 40, Philadelphia, Pennsylvania; Roll T625_1641; Page: 4A; Enumeration District: 1495; Image: 917. 3Source Citation: Year: 1930; Census Place: Philadelphia, Philadelphia, Pennsylvania; Roll 2099; Page: 12A; Enumeration District: 543; Image: 619.0. 4Source Citation: Year: 1930; Census Place: Philadelphia, Philadelphia, Pennsylvania; Roll 2099; Page: 5A; Enumeration District: 552; Image: 911.0. 5Source Citation: Year: 1930; Census Place: Philadelphia, Philadelphia, Pennsylvania; Roll 2130; Page: 13A; Enumeration District: 223; Image: 111.0. 6Source Citation: Year: 1930; Census Place: Philadelphia, Philadelphia, Pennsylvania; Roll 2106; Page: 25B; Enumeration District: 874; Image: 753.0. While researching the 1910 Census on Ancestry.com, I came across an unusual error. Since others may find similar issues with their research, I thought I’d share my way to “get around” the error. My search was for some families in Philadelphia, PA with the surnames Miller and Mach. When I click on the census image for the correct individual, they are nowhere to be found on the page itself. That is when I noticed the Enumeration District numbers. At the top of the page, it says “You are here” with the location of the record. In this case, the end reads “Philadelphia > Philadelphia Ward 19 > District 328.” However, the image located on that page shows an ED of 294. By clicking on the hyperlink for Ward 19 in the “you are here” address, you can see the list of all EDs in the ward, or ED 291 through 332. Guessing that perhaps the sequencing of the images got messed up, I went to District 294 instead. Sure enough, what is supposed to be ED 294 is ED 328 instead. I also found some of ED 328 in 295. I alerted Ancestry about the problem months ago, but it still is not fixed. Moral of the story for users of Ancestry.com: For Philadelphia researchers – take note if you have relatives living in Ward 19 in 1910! For all researchers – if the ED on the image does not match the ED on the index, try the batch of images from the incorrect ED. If you are lucky they will be from the ED you are looking for! I would be curious to know if anyone else has encountered this indexing problem where the index itself is correct, but the images are loaded incorrectly. Sometimes we forget that “stars” are people, too. And as regular folks just like us, their genealogy can be traced with the resources we all use online. I was saddened to hear of the death of actress and dancer Cyd Charisse on June 17. I knew her date of birth to be March 8, which happens to be my birthday, but I was surprised that newspapers couldn’t quite agree on her year of birth. No surprise there since it’s not unheard of for Hollywood stars to fib about their age. So, I decided to confirm it for myself. As she was “believed to be 86” according to her New York Times obituary, I knew she’d likely be on the 1930 Federal Census. Her birth name has always been reported as Tula Ellice Finklea. Place of birth: Amarillo, Texas. After a quick search on Ancestry.com, I found Ms. Charisse on the 1930 Census (though she is indexed as “Lula” vice “Tula”). Cyd/Tula is 8 years old, so her birth year is 1922. Her father Ernest is a jeweler, and the family also has a cook and a maid living with them. All were born in Texas, but her father’s roots are from Alabama and Texas. Her mother Lela’s parents were from Mississippi and Louisiana. It would be interesting to see how far back her American roots go. In other Ancestry records, I found what appears to be her birth record, though the name is blank and only her mother’s name is listed. Her father died in 1938 when Cyd was only 16 years old. Her mother must have moved to Hollywood with her – her death is listed in a 1990 record at 88 years old – clearly Cyd got her longevity genes from her mother! I’ve written a short tribute to Cyd on my Gene Kelly blog, including resources for more information on her life and career. If you’re a fan of movie musicals as I am, you know that she was graceful and beautiful – she looked fabulous even in recent photographs. Rest in peace, Tula – the world will miss you. Census Records: What’s in a Name? When I first got started in genealogy, I thought the Soundex was an amazing thing. It helped me find many incorrectly written names, often simply mis-pronounced by the foreign speaker or mis-understood by the American census taker. But, the Soundex only gets you so far…some errors are just too much to overcome. For example, the Soundex assumes that the first letter of the surname is correct, but what if it’s not? Thanks to computers and indexing, finding someone on the census is a lot easier than it used to be. 1910 – Savonia, Joseph, age 28. Wife Mary, age 20. 1920 – Cawodny, Joseph, age 39. Wife Laura, age 36. 1930 – Zavodny, Joseph, age 50. “Sister” Laura, age 44. As you can see, only the 1930 surname would have been found using a Soundex search. The wife’s name changes, most likely because her Polish first name Wacława doesn’t really translate into an English name, at least not the same way that Jozef becomes Joseph. 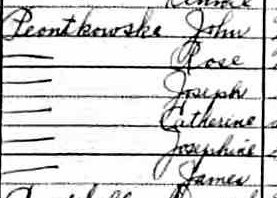 Another favorite family in census records is my Piontkowski ancestors. 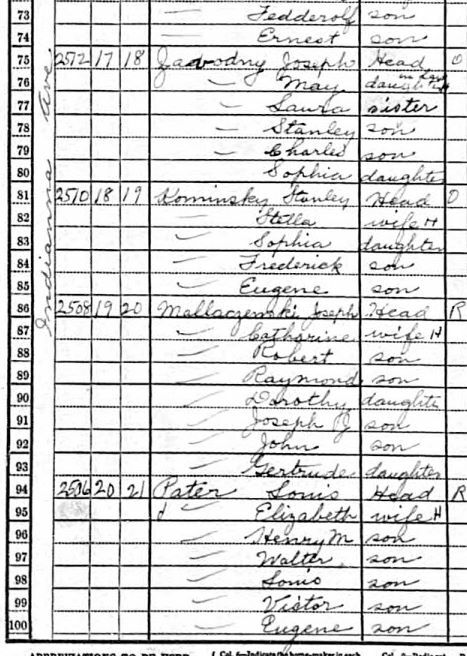 While the 1920 entry of “Pontdowke” and 1930’s “Peontkowski” show up in the Soundex, the family’s whereabouts in 1910 had me stumped. Finally, I found them – listed under “Kilkuskie”. Not really an intuitive search, but the first names, ages, neighborhood, and other information all matched. The best part about their entries are the ages – while the husband’s age is or at least close to what it actually was for those census years, or ages 39-49-59, the wife seems to grow younger each decade. Perhaps it was unfashionable back then for a wife to be five years older than her husband, but her ages show up as 37-52-54 while her actual age was 44-54-64! So, how do you find someone when the surname isn’t right and Soundex searches fail you? The old standby prior to computers was to search for the known address. In the case of these two families, they each had a different address for each census year. If a family moved frequently, even though they stayed in the same neighborhood, they’ll be difficult to find unless you know through some other means, such as a city directory, what their actual address was during the census year. One method that I used to find these records when “last name” searches failed was to search with a combination of the first name, approximate age, and country of birth. It helps if you know at least the county or city where the family lived, because you may get over a hundred men named “Joseph” born in “Poland” or “Russia” around 1879. But, by carefully checking the other family members, you will find the family if they are there. You can also combine a search using these elements with a spouse’s first name, or a parent’s first name if you are searching for a child. Try using Steve Morse’s searches if other search sites have you stumped. This post is an excerpt from a future article on Searching US Census Records.